Marmite; love it or hate it, you will adore this cake! This cake is wonderfully light with a salted caramel buttercream. Will your friends & family guess the secret ingredient?? 2. In a bowl melt the chocolate over a pan of simmering water, make sure the bowl does not touch the water. Remove from the heat and set aside to cool. 3. In a large bowl beat the butter and sugar with a wooden spoon or electric whisk until it is light and fluffy. Add the egg yolks one at a time, and beat well after each egg, now add the melted chocolate and ground almonds. 4. In a separate bowl whisk the egg whites until you have soft peaks. Using a large metal spoon gently fold through the flour and egg whites until thoroughly combined. 5. Pour the cake mixture into the two cake tins, spread evenly and bake in the oven for 18-20 minutes. 6. Remove the cake tins from the oven and set aside until cooled slightly and turn out onto a wired rack. 7. 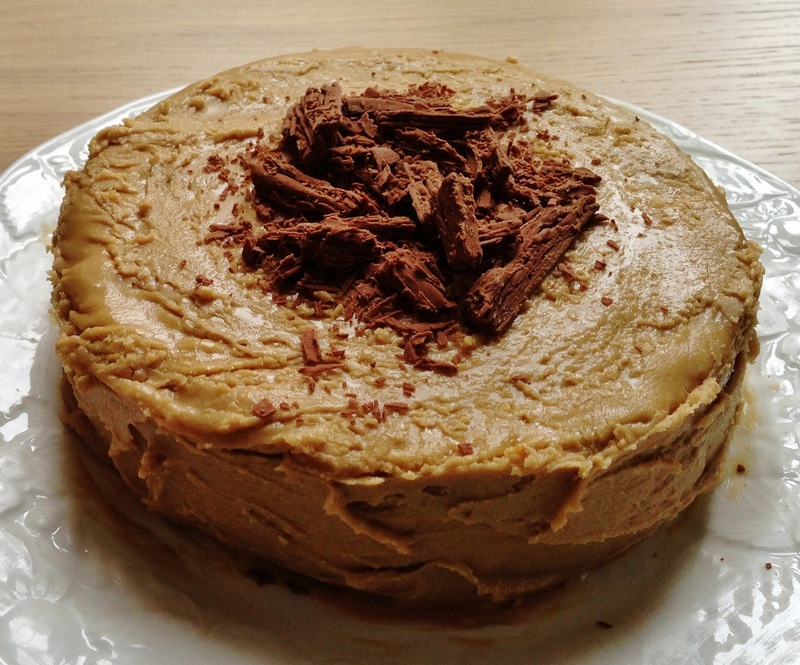 For the caramel Marmite buttercream, melt the butter in a large pan over a low heat. Now add the brown sugar, milk and Marmite, stir until it starts to boil. Let the mixture boil for 1 minute and then place into a large bowl. Taste the mixture and add more Marmite if necessary. 8. Now add half of the icing sugar using a whisk and leave to cool thoroughly mixing occasionally throughout the cooling. When fully cool mix through the remaining icing sugar if it is still runny add more until you have a spreadable consistency. 9. To assemble the cake, spoon a third of the buttercream over one of the cakes and sandwich with the other cake. Now cover the whole of the cake with the buttercream using a palette knife and top with flaked chocolate. Enjoy!